Mesa Cortina in Silverthorne Colorado features homes and land for sale in Silverthorne CO Real Estate. 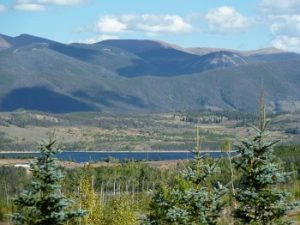 Located slightly above Silverthorne near the Wildernest condo area, many Mesa Cortina homes have superb views of Lake Dillon, Keystone Ski Area and the surrounding mountains. There are 27 lots in Mesa Cortina, as of 2013 there are 19 existing homes with only 8 vacant parcels of land. Each property ranges in size from 0.50 – 1.04 acres. The existing homes were built between 1965 – 2008 and range in size from 744 – 5,015 square feet. Properties in Mesa Cortina can be found on Aspen Drive and Lake View Drive. Many refer to the entire single family home area near Wildernest as Mesa Cortina however there are three additional subdivision in the area: Mesa Cortina West, Cortina Sub and Cortina Ridge. This entire area of Silverthorne Real Estate are ideal if you are looking for land to build or an existing home with panoramic views. If you like the area commonly referred to as Mesa Cortina make sure you take a look at the Silverthorne homes and land for sale in the other three subdivisions as well.